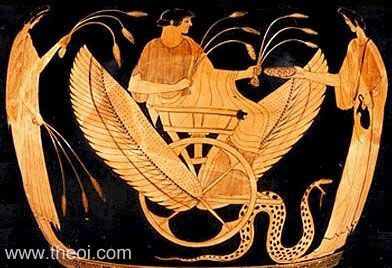 Triptolemus departs in a winged, serpent-drawn chariot. He is flanked by the goddesses Persephone and Demeter. Persephone and Triptolemus hold sheafs of grain in their hands, Demeter bears a cup and jug.